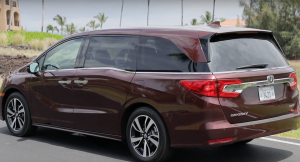 If you’re looking for cheap car insurance, the Honda Odyssey may be your best bet. People don’t always consider the cost of car insurance when they’re deciding what kind of automobile they want to buy or can afford. But they should. Because your rates can certainly change depending upon your vehicle. DoughRoller has put together tips for estimating the cost of car insurance before buying an automobile. Here’s a rundown of a few things to consider. As a general rule, it costs more to insure high-priced cars. “A more expensive vehicle means a bigger payout for the insurance company. And they’ll gladly pass those potential costs on to you in the form of higher premiums,” according to DoughRoller. Again, insurance companies are going to factor the cost of repairing a car into your insurance premium. So a foreign model with hard-to-get parts is naturally going to cost more than a more common model. “So if you’re looking at a car with more expensive parts or specialized labor required, you’ll have higher insurance costs,” DoughRoller writes. Insurance companies make assumptions about the kind of driver you are based on the car you drive. “Those who drive fast, sporty cars may be more likely to take risks and wind up in accidents. So these cars can be more expensive to insure than family-centered minivans and hatchbacks,” according to DoughRoller. Does your car have safety, auto theft features? Most cars have basic safety features such as anti-lock brakes and airbags. But if your car goes further than the basics, it could mean a discount on insurance. “You can get more insurance discounts if your vehicle has additional safety features like a backing camera or blind spot alerts,” DoughRoller writes.